This morning Dad cooked up a big breakfast on the BBQ. 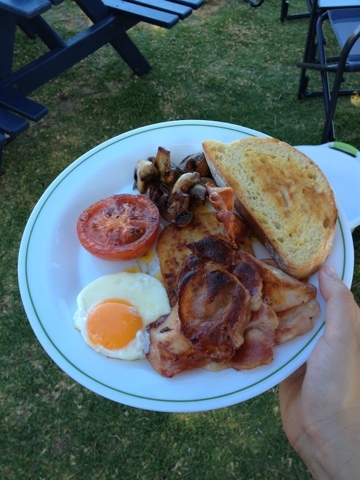 One of my favourite things is a big BBQ breakfast, and it is an Australia day tradition for the family. The rest of the day consisted of swimming and Ezra playing in a bucket of water because it was so hot, and then a nice drive out to the chocolate factory so the kid could get a nap in the a/c in the car!